13 real policy ideas to help navigate Australia through to budget surplus + happy people! So I took some time to read through the CIS report which you can read here. I’ve taken half a day to study and research them and decide for myself whether I agree. So hopefully this can benefit others who can’t be bothered spending half a day but can take a few minutes to read instead. I’ve included links to my research sources where possible. Australia’s welfare system accounts for 65% of government spending and has doubled over the last 10 years from $150 billion to over $300 billion. A third of that goes to welfare cash payments (like Newstart, Family Allowance…etc) – most of which are more strongly means tested than other OECD countries – but current spending trends are unsustainable and contribute to ongoing dependence. 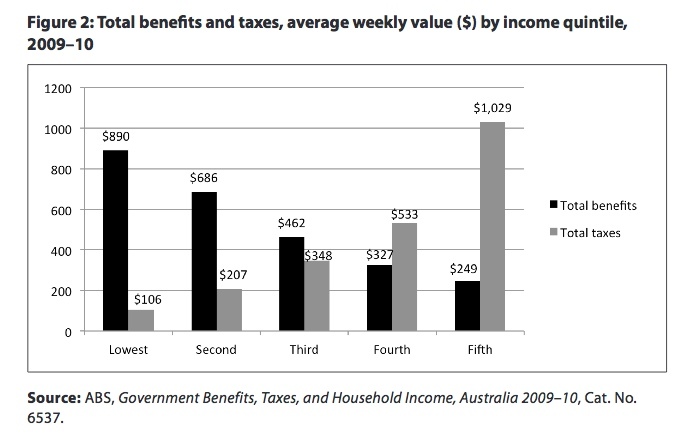 Close to half of all Australia’s welfare payments (over $150m) are accounted for by what is referred to as “welfare churn”, where an Australian (those of incomes higher than $18.2k per annum) pays taxes, and then those taxes come back to them as benefits – generally in kind benefits like education or health. Between the ages of 15 and 55, an Australian’s benefits vs taxes is fairly even (even though it may not be happening at exactly the same time – e.g. students receive education benefits, but then pay for the next generation to receive those benefits with their taxes). But after 55, there is a huge gap as taxes decrease significantly while welfare benefits increase significantly until the time of death. 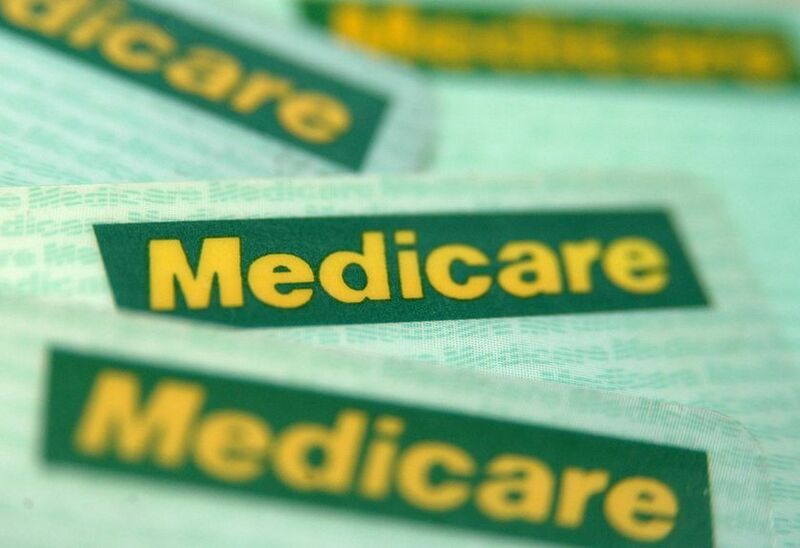 This makes the policies around welfare benefits to the growing ageing population one of the most crucial issues in the Australian Government’s budget. It’s a $50 billion+ a year issue. In comparison, that’s double Australia’s defense budget. The biological essence of this issue – particularly over the next 20 to 30 years, is that Australians aren’t having enough babies who can grow up to get their own jobs and pay enough taxes so that the previous generation’s age cohort will be properly supported. The population grew, but now its not replacing itself. In terms of the environmental impacts of an ever growing world population, this is perhaps a positive, but in terms of the real experience of people living their lives in Australia right now and over the next 30 years (for example, people like me who will be 60 in 30 years), this is a serious problem. While there are some really great ideas for more progressive reforms, there’s a big problem with implementing them. When you change a system that affects generations of people, there is a long period of time in which SOMEONE has to suffer…which means that reforms of that size never make it through parliament, or if they do – they come out the other end so changed that they can never have the effect that was intended – and if changed back by a new power in government, can due irreparable damage to the lives of people in had intended to help. So, with that in mind, smaller changes, while not completely solving the dependency factor, can slowly reduce it and incentivise people to change over a long period of time, until such a time as major reforms are possible. Align the age at which someone can access their superannuation funds (60) with the age at which a person can apply for the pension (65) so that people don’t use the intervening 5 years to reduce their means-tested assets to the point at which they can benefit from the pension despite not necessarily qualifying for it 5 years earlier. Include a persons principal home as part of the means testing process for pensions, which will incentivise people to use their superannuation drawings to purchase income generating assets, rather than avoid them in order to qualify for the pension. Also link the age of retirement and access to super and pension, to life expectancy. This is something the UK is considering. To put this into context, Superannuation was introduced to Australia at a time by the Labor government when life expectancy at birth was 77.38 years. In 2012, life expectancy at birth was 81.85 years. That’s a difference of 4.47 years. Now, I imagine this age would need to change based on the birth year of the child – or perhaps birth cohort of 10 years. For instance, if 50 years from now, humans were living 50 years longer, it would make absolutely no sense for them to retire and be supported by the state for 50 years. So if the age isn’t increase in line with life expectancy, then its up to the tax payers to bear the burden of the difference of X years. A more politically difficult item to implement would also be the limit index pensions to the Consumer Price Index. Currently it is linked to both CPI and also the Pensioner and Beneficiary Living Cost Index (PBLCI) – whichever is higher. The inherent problem I think being called out here is that if government spending on welfare increases at a higher rate than the CPI, then welfare earners spend more, thereby increasing their own Index, and of course since it will be higher than CPI, it will be used to define the exact amount of benefits…basically becoming a self-fulfilling cycle of increases that are instigated by government spending in the first place. I’m not ENTIRELY sure my line of reasoning here is correct, but that’s what I’ve deduced. Aged care supports to be means tested just like every other welfare payment is. So basically providing system consistency to ensure money goes to those who actually need it. Reducing tax churn for middle income earners – by ensuring that again, the benefits are delivered to the lower income families who need it most, but also that some of the savings made are distributed back to the middle and higher income tax payers. Family Tax Benefits payments have two parts and were originally set up to support families with a stay at home parent. Part A provides $100 per child per week for family’s with incomes under $75k and Part B provides lesser payments ($70 for kids under 5 and $50 for kids 5-18) for people with family incomes below $150k – so, helpful for anyone with a family earning between 76k and 150k per annum. Now I wanted to double check this against Australian Poverty lines. These obviously differ depending on whether you own your house outright and therefore don’t have to pay rent and also on how many children you have. But line was set this month at $34k a year (Pre tax) for the 33% of Aussie’s who own their own home and have one child, and the line goes up to $79k (Pre tax) for those with 4 kids who don’t own their own home (although average number of kids is 2). So I think it’s safe to say that households with a family income of $150k – which is more than double the income of a family living on the Australian poverty line, are not the ideal beneficiaries of the welfare system – they are better of having tax credits. So based on my own research I would also conclude with the research paper that Part B could be phased out over time. But I would add that Part A should be linked to the Poverty line index, so that as living standards change and the price of living increases, welfare benefit categories are seasonally adjusted. Because I am sure the government brought the system in based on original poverty line figures…which inevitably change over time. Based on the calculation of pre tax income, Part A should be increased to include family incomes up to $79k per year (where means testing shows they don’t own their property and have 4 children). The Liberal National Party’s plans to provide mothers with 26 weeks of wage replacement up to a maximum of $150k without means testing or a sliding scale of benefits based on income which the rest of our taxation and many other means tested systems are based upon. This presents a significant financial concern. Of course there are ways for empowering people to take paid leave and enjoy the beautiful time that all humans should enjoy in being a parent to a new child – without creating systems that contribute to welfare churn. For instance, using a tax effective savings vehicle – where Australian’s are all provided with a way to save for education, health and new life creation (having babies!) in a particular savings account and if they do so, are taxed at a much lower rate (perhaps the effective tax saving difference based on welfare with- i.e. 30-40% rate saving – with the extra 15-20% kept to fund those who need it most). People can then access these funds when they have children – or perhaps if they never do, they could access those funds after menopause?? That’s an interesting thought! Childcare payments could then be reduced as people self funded time off to spend with their new or recently grown family. 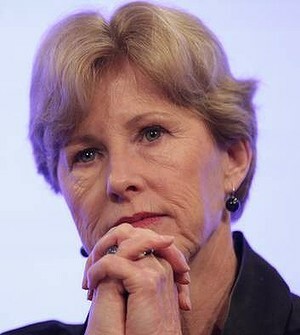 Either way, the current Labor party’s child care benefits scheme is a more financially prudent policy. The report also suggests that for the above two items (and other family and child related welfare payments) there is benefit in reform across all of them. The number of children you have is a major indicator of potential new costs, so the suggestion of replacing all these benefits with a non-means tested Child Tax Credit could be an option. The issue I see there is that it provides more money for those who earn more and therefore pay more tax, and zero money for those who earn under $18.2k. So, there would need to be some more thought put into how this could be achieved – particularly covering any transition period. Would the tax credit happen as a part of someone’s weekly/fortnightly wage? What of people who are paid monthly? Perhaps the tax credit could increase or decrease on a sliding scale based on income and then switch from a credit to welfare payments on the lower end of the scale? I guess you’d need to do more modelling to check. The other major component of welfare payments is within unemployment. Interestingly 60-70% of people who take up Newstart move back to paid work within 1 year. One proposal suggests people could use Personal Future Fund accounts to self fund this period…but I think this is a bit of a stretch. That would require someone to have up to $40k in savings at any time JUST IN CASE they were unemployed for up to a year. I think that Australian’s would find that a big stretch to agree to. 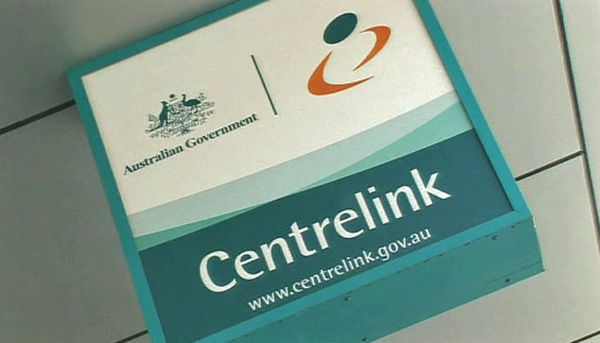 The other suggestion which I think makes more sense and is something Aussie’s are already familiar with, is to provide those who are recently unemployed with a loan amount that is paid weekly – but which must be paid back as soon as they start working and earning over a certain amount that would allow them to service the debt. It works just like the HELP fee system so as not to disadvantage those who are unable to get paid work. I think the debt would probably need to be capped at 1 years of benefits (given that is 70% of the cases anyway), because psychologically, the more someone felt they “owed” to the government, the greater the disincentive to find work because after 5 years they’d owe over $70k to the government which is 1/5 of a house loan – most humans would feel overwhelmed at that obligation. The Disability Support Pension was an interesting one. I found this one difficult because there is so much complexity around physical and mental disabilities. On the one hand there is a social etiquette which dictates we should avoid expecting the same from a disabled person as that of a normally abled person, on the other, there is much that an individual human can gain from positive and meaningful contribution to the workforce. Of course the degree to which this is experienced is dependent on the individual, the type of disability and the severity. Now ABS data shows that disabilities that begin in adulthood are most likely to occur in the 45-64 age bracket (prior to workforce retirement) – and those in the 55-64 bracket are the least likely to return to work. At the moment the payments for DPS (Disability Support Pension) are not aligned to the objectives of the National Disability Insurance Scheme (which provides support for increased workforce participation). The two programs are at odds – one provides the support, but the other does not require people to look for work in order to obtain benefits, so there is little incentive for someone to go and look for work – even if there is now a program structure to support it! So by aligning the two – i.e changing the pension to require those with partial working capacity to seek out work, the aims of the NDIS can be carried out and the government can also save money on pension payments as a side benefit. I think this is a good idea in principle, but it is a tricky one to means test by “working capacity” and might have the effect of causing public outrage – particularly in instances where there are people that may be physically partially able, but combined factors of mental preparedness and also workplace preparedness creates a difficult environment. On Primary education, Rudd government wants to spend more and Abbot wants to spend less or perhaps distribute the balance across primary/secondary and tertiary – both have an impact on the ability of future government expenditure and the ability to pull Australia out of deficit. On the other hand, the Greens proposal to means test government funding to private schools just pisses off any parent who is currently sending their child to a private school and is unlikely to be a policy that Parliament would accept as a solution. But that’s not to say the track isn’t right…it just needs to be presented as a change for all that provides new freedoms and opportunities…rather than a new disadvantage for some. The idea proposed is that the amount of tax money used to pay a public funded school position is instead provided as a tax credit that can be used for education. The credit could be capped based on the price of attending the closest local school. Now this still effectively lowers potential benefits to parents with kids going to private institutions – but its much more difficult to compare since now the decisions are being made by the individual, not by the institution. The approach increases competition within schools and raises the bar for all, while still providing education within an essentially socialist framework. On tertiary education, the current FEE help system takes no account of the earning POTENTIAL of the degree being studied as a means of determining % of HELP assistance available. For instance, the average earning potential of a teacher is $64k per year, the average earning potential of a lawyer is nearly double that at $123k. Reforms suggest this earning potential could be used as a means of reducing or increasing government subsidies as needed. My personal thoughts are that this is a good idea in theory but individual job types and associated incomes vary wildly within particular industries, there are hundreds of jobs, and in some sectors salaries stay relatively the same over time while others go up and down – meaning the system would at least need to be smart enough to cater for all of these intricacies. Certainly not impossible in the IT age…but important to consider. Also increased fees for higher earning potential jobs could effectively cut out students from lower income backgrounds. So I think if the system were to work, it would also need to include family means testing as part of the equation of potential fee help. Firstly I think it should be noted there is probably not too many Australian’s out there who aren’t fans of the socialist style medical system we have here in Australia. Americans would say we are very lucky. However, if we accept that the point of such a system is to provide healthcare to those who can’t afford it (unlike US where without health insurance, you’re in a real bind), then just like everything else, a socialist system needs to be implemented in a balanced way. And this means means testing it in the way that practically all other welfare benefits are implemented in Australia.Here’s the issue: because you don’t pay (or you receive a rebate) on visits to the doctor or purchases of prescription drugs, and the doctor and pharmacist don’t lose out either – the system encourages people to use it more, leading to more spending that may be unnecessary – particularly if the same result and levels of population health could actually be achieved for less. In America, cost benefit analysis is used to make decisions on how to best decide which drugs or equipment to subsidise. Many suggest that the better approach is another measure: Quality Adjusted Life Year – which is a measure that I think makes more sense for this area where the “cost” is money and the “benefit” is life verses death or disablement so its not as simple as money vs. less final life benefits! On top of this, means testing as a method of ensuring health welfare benefits go to those who most need it vs. those who can afford health insurance and the price of a visit to the GP seems like a common sense approach.Ultimately, why should someone earning $75k or more get exact same government help on healthcare as someone earning $18k. Logic would say…well they pay their taxes just like everyone else – so they should get the benefit right? But if, similar to the other suggestions in the report around tax credits, a percentage of their taxes could be used to go directly to health insurance which was perhaps expanded to cover a % of GP visits depending on means tested income – this, with the savings gained from other welfare areas, could potentially cover costs without any major change for high income earners – making it a more palatable solution for the whole of the Australian public. Regardless, I think this idea needs more work because our healthcare industry is highly complex and involves many more intricacies in comparison to other welfare areas. Overall, I think the ideas presented a pretty good – the question is then about implementation. Change of this type in too many areas at once is not only difficult to achieve, it scares the population into thinking the government is cutting stuff willy-nilly because most people don’t have half a day to spend going through and really thinking deeply about exactly what the proposed reforms mean like I just did today! 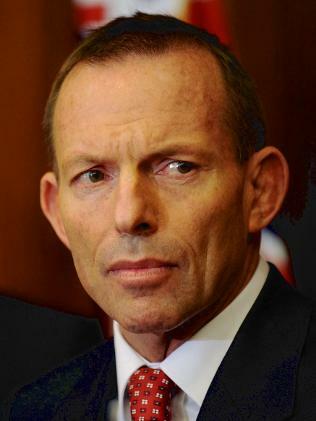 So focusing on just one or two areas that would have the biggest impact as part of an election campaign I think would be the maximum that the Australian public could psychologically handle. On a final note, what I found so interesting about all of this, was that the Australian governments policy attitude toward Indigenous Australians, is actually reflective of its policy attitude to ALL Australians. Its paternalistic in nature. But paternalism disguised as public generosity won’t save future Australians from having to deal with the fall out of policy decisions that drive our budget into further deficit, particularly as Australia’s population ages. This entry was posted in Education, Employment, Health, Politics, Retirement, Uncategorized and tagged australia, Australian Labor Party, australian politics, Consumer Price Index, Disability support pension, Employment, family tax benefits, Government spending, HELP fee, Liberal Party, Life expectancy, Means test, Medicare, national disability insurance scheme, national poverty line, newstart, pension, Pensioner, Politics, retirement, tax credits, Tax cuts, unemployment, Welfare, welfare churn. Bookmark the permalink.